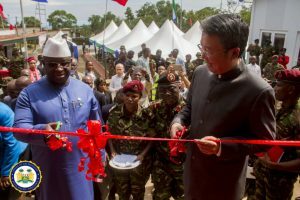 State House, Freetown, Thursday 5 July 2018 – His Excellency Julius Maada Bio has today commissioned Sierra Leone’s Infectious Disease Prevention Center built by the joint offices of the Sierra Leone Armed Forces (RSLAF) and the Chinese Military at the 34 Military Hospital, Wilberforce Barracks in Freetown. In his keynote address, President Bio thanked the Government of the People’s Republic of China for their continued support to Sierra Leone, saying that China had been pivotal to the country in its development drive. He added that the new facility would not only help manage infectious diseases in the country but would also play a leading role in the health sector for the entire nation. He noted that the new facility would now reposition the RSLAF to better address infectious diseases such as Ebola and other emerging ones. “The project now commissioned will not only strengthen the relationship between the two countries but will also serve as a major boost to our health delivery infrastructure, which is critical in the delivery of the human development portfolio in the New Direction. 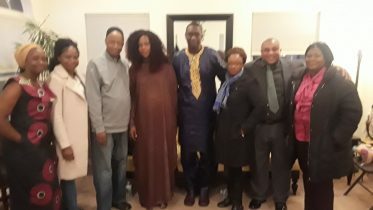 This is with the conviction that good health care is imperative for increased productivity in agriculture, improved learning and teaching, child survival and development, reduce child mortality and increase investment considerably,” he said. On the potential benefits of the project, President Bio stated the new facility would help strengthen the infrastructure capacity of the RSLAF and would enable the joint medical unit to improve on service delivery to personnel, their department and the general civilian population. Between the two countries, President Bio said that it was no gainsaying that Sierra Leone and the People’s Republic of China have enjoyed a cordial relationship for a very long time on a mutual benefit basis, which he hoped would grow from strength to strength. He ended by saying that the ceremony would also mark another milestone in the fraternal relationship between the two countries. 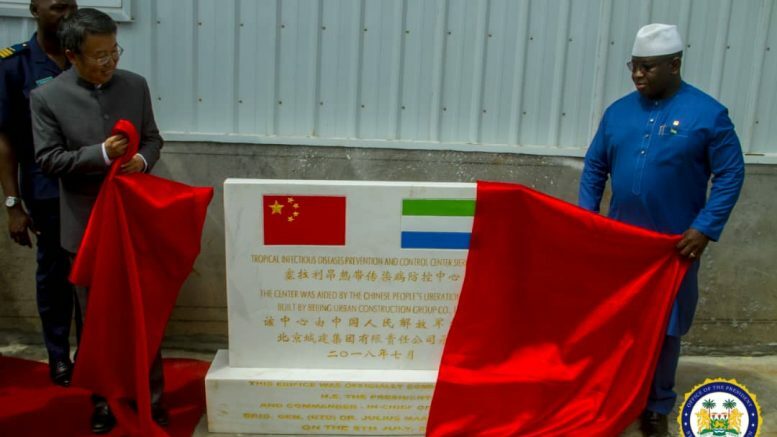 On his part, Chinese Ambassador to Sierra Leone, His Excellency WU Peng expressed his delight on the joint efforts between the two militaries. He said the move by President Bio to attend the ceremony depicted his respect for the values the two countries shared. He commended the 34 Military Hospital for their coordination and communication throughout the project. He disclosed that over the years the two armies had coordinated and raised resources for several areas of operations within the RSLAF, adding that the Chinese government would continue to assist the force. Ambassador Peng also expressed his hope for continued cooperation between the two countries. 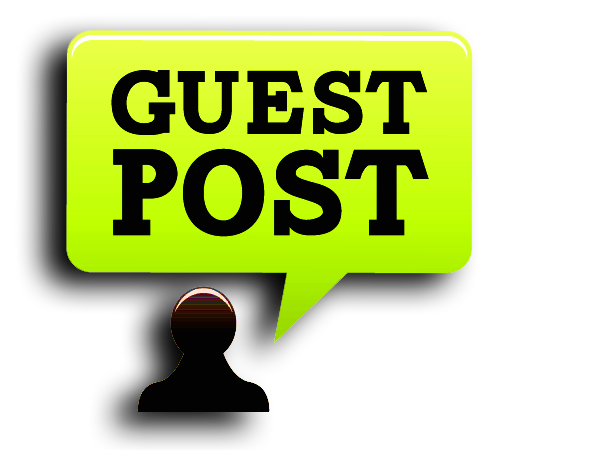 Be the first to comment on "Bio Commissions Infectious Disease Prevention Center in Freetown"